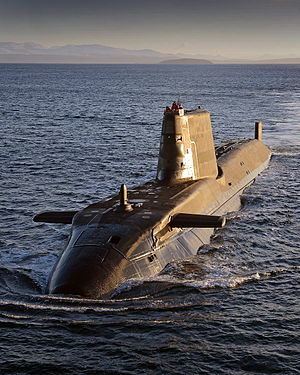 When Ged Morgan first began using SpatialAnalyzer (SA) in 2007, he worked for BAE Systems UK-Submarine division on the Astute submarine project. One of the primary reasons his team adopted SA was in response to a need for a single software package that could interface with a variety of portable metrology devices and synthesize all subsequent analysis and reporting. Prior to adopting SA, the team used a multitude of different software packages. When Ged Morgan first began using SpatialAnalyzer (SA) in 2007, he worked for BAE Systems UK-Submarine division on the Astute submarine project. One of the primary reasons his team adopted SA was in response to a need for a single software package that could interface with a variety of portable metrology devices and synthesize all subsequent analysis and reporting. Prior to adopting SA, the team used a multitude of different software packages. This caused crosstraining difficulties, which led to complications and delays in completing tasks associated with the submarine build. Since the Astute project uses a modular build method, ascertaining the current state of any component is vital to proceeding to the next stage of build. This process guarantees that the given component is within tolerance and will meet final design criteria. 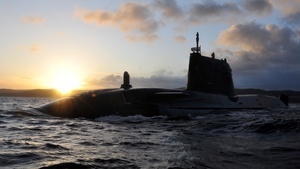 The decision to transition solely to SA during the middle of a nuclear submarine build was initially met with some skepticism. After the initial implementation, however, Ged says his group quickly grew to appreciate SA’s user-friendly analysis tools and the response they received from New River Kinematics’ support team. The in-depth support they received not only answered their questions, but also helped them find the right tool within SA for any given task. In 2011, Ged moved to Melbourne to work with the BAE Systems Australia-Maritime division. At that time, BAE Systems had recently purchased the Williamstown shipyard and needed more experienced shipbuilding personnel to help address issues such as overall quality of work and meeting schedule demands. A team of 17 people with various skill sets were transferred to Melbourne from the UK. Ged arrived with just the right background and skills to help address the difficulties they were facing concerning quality, build issues, and dimensional control. With the help of NRK’s support team, Ged was able to acquire the necessary hardware to use along with SA. Within a year, build schedules and work load forecasts were in place and Williams had recruited the necessary personnel for the dimensional team. NRK’s support team helped Ged fully implement SA, and from there, the team was able to start building their own models from excel data. They also standardized their methods of constructing measurement files so that work could be easily passed between personnel. 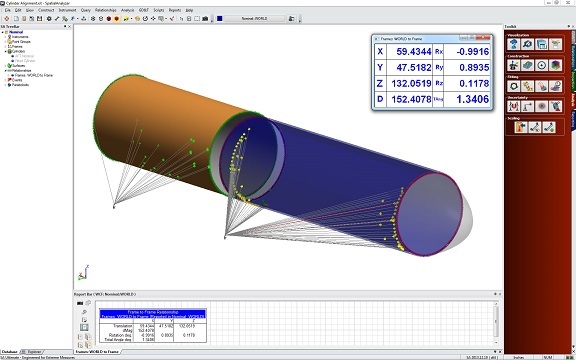 Ged’s team also found benefits in using SA’s visual reports with vectors to indicate how much any given part needed to be moved to meet its design position. By using vector reporting updates to measure in real time, the dimensional team was able to work directly with production. This not only ensured that assembly met its design requirements, but prevented the need for re-work and led to significant improvement in quality. The dimensional team’s ability to provide production with clear, precise instructions for part alterations was paramount to improving production quality. With the help of SA, the right metrology equipment, and a well-trained dimensional team, Ged was able to reverse the problems the shipyard was facing concerning quality and dimensional issues in a relatively short time. Ged speaks highly of the dimensional team in Melbourne, saying they learned SA very quickly after just a few days of training and a few weeks of using the software. Since implementation, the team has continued to explore further uses of SA and additional ways to improve efficiencies.